People who looking at comfortable dwellings close to the commercial neighbourhoods of Mangalore, Brigade Group has released their latest residential offering, Brigade Pinnacle. Developed over 3.3 acres of land the housing complex has a unique collection of contemporary styled homes. The well-planned architecture of the residential development infuses with the indoors just as much as it does with the outdoors. Each aspect of the project is designed for practicality and beauty. 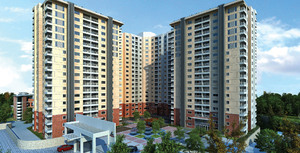 The project has 2 and 3 BHK sets to offer its buyers. Each set accommodates wide balconies and large windows that provide ventilation and ample natural light into the apartments.The dimensions of the area vary from 1200 sq.ft to 1770 sq.ft.The Brigade Pinnacle price starts at Rs 57.48 Lacs.The open grounds of the complex embrace a recreation park. meditation pavilion. visitors’ car park. 6.0 metre driveway, clubhouse with a swimming pool and the kids play area. Facilities for various indoor and outdoor games are available in the compound. Lush green manicured gardens with trees decorate the complex. Amenities like parking spaces for residents, a fully equipped gym, a multi-purpose hall and much more are available to the residents of the Brigade Pinnacle, Mangalore.Every necessary facility from a shop to multiplex and from a bus stand to the airport are located within a few kilometres radius of the estate. With well-developed transportation facilities of Mangalore, the important places are just a few minutes away from this project site.